The Morrison Company began producing smart tags for pharmaceutical use in the summer of 2004. 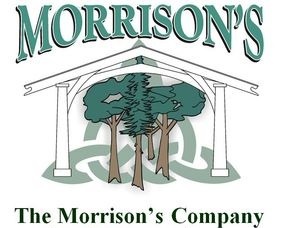 Then in 2007, Morrison expanded its product line to attract retailers. These smart tags are using RFID technology. In this technology frequency is detected and product is scanned by frequency detection technology. The first factor was that the company purchased exclusive rights to a patented device that combined the inventory control capability of RFID with the theft deterrence functionality of retailers’ existing security systems. This was a bit expensive decision I think this feature should be only available to premium customers only that would be paying extra for the services so that company would not be paying expenditure rather collecting it from the customers without affecting their profit. Second factor was that RFID tag costs to $.05 or less apiece. The resulting size reductions, design changes, and other technological developments were leading to shorter product life cycles as new types of tags supplanted existing ones. This was especially true of UHF ICs, whose technology was much less mature than that of the older HF models. The company required to produce products that have longer life cycles so that customers remain satisfied by the services provided. In 2010, the retail line accounted for one-third of the company’s total revenue. However, higher than expected production costs resulted in net income before taxes of $376 thousand—well below its target for the year. The average price per unit was $.11. Another factor was that a big challenge arise that the possibilities for expansion in that location were limited: Morrison leased the building, and the surrounding lots had already been developed. Morrison needs to own building to overcome lease expenses. There are many benefits of owning the building than doing business in leased building. For example if you are in crises then first main challenge is to pay lease amount and if you own building then you can easily manage the crises as it is a plus point in business. First thing that comes in mind while doing sales calculating profit from sales is deducting lease amount from the total sales then other expenditures. A person owning business property can decide when and how various maintenance issues are addressed and thus present the image he desires while controlling costs. Further, he controls his environment from temperature control to tenant finish. The improvements now belong to him and not the landlord. This allows the owner to look at improvements with a long-term view. There was an important issue which was neglected that production employees were responsible for quality assurance at each step of the manufacturing process. The quality was not assured properly as production team cannot assure the quality. Proper teams should be there which will check either standard are properly met or not? And quality product is to be achieved. For example if I am developer of a product then I should not be the quality tester as I may not figure out the errors I make during the development. I may declare the bug a feature as I ll think my work to be perfect and will overlook even the visible errors. So I ll need someone to check quality of my work product and do analysis of it. The absence of computer terminals and observed production lists with hand-written changes posted near each machine. There should be computerized control instead of manual records as manual records can be misplaced or can be affected by the environment. If there were computer terminals then each machine could be easily monitored and if any change is required then within no time instructions can be passed. The request for change can be monitored i.e. the changes have been implemented or not? All the processes are automatically recorded and can be checked anytime. There is another issue that the tags were not flexible. That means tags cannot be placed on round shaped objects like syringes, bottles and other materials that require flexibility cannot use rigid tags. The incidence of stock outs discovered during parts picking had more than tripled in the past six months. Many times a stock out meant that some orders could only be partially completed. Such orders remained as work-in-process inventory on the factory floor, though due to space constraints some were moved on to the packing area. Work-in-process inventories also built up when inlay subassembly slowed due to mechanical problems or when defects required rework. Similarly, bottlenecks commonly occurred during personalization, which negatively affected the subsequent packaging operation. One of the machines was not reliable said an employee as required output was not achieved from it. If we look at the table in the appendix we can see that actual outputs were less from the units planned and forecasted during the whole year. At least 15000 units from each product line is less from forecasted. In May 2010, required products were more but productions failed to meet the required target which resulted in loss of revenue and increase in budget but in contrast you it you can see that from Feb-Mar the productions were more than required resulting in wasteful use of resources. The productions should be according to the forecasted data extra production is not prior solution to the problem. Concept of Total Quality Management should also be introduced that states, “A management approach of an organization centered on quality, based on the participation of all its members and aiming at long term success through customer satisfaction and benefits to all members of the organization and society” . TQM combines all management techniques and technical tools under a disciplined environment. So it should be introduced to achieve quality in a better way. One solution proposed in the paper that extra shift should be introduced to meet forecasts. It may have advantages but disadvantages are more than the advantages. First of all it would require extra attention, Secondly it would require extra workforce and lastly its initialization will cost much and also difficult to handle both the shifts. I would conclude the study by saying proper management techniques will result a profitable business so one should focus on increasing quality of product to achieve quantity in sales by choosing appropriate methods and techniques to overcome issues that company is facing. Mind Tools, “SWOT Analysis,” Discover New Opportunities, Manage and Eliminate Threats, June 2017. Tilo Pfeifer, Quality Management: Strategies, Methods, Techniques. Munich: Hanser, 2002.